This Christmas season, most families showcase their captivating Christmas light displays. You can drive your kids across town and let them enjoy the neighborhood over-the-top displays. Take kids outside for a quick walk and gather some evergreen branches or trim some artificial branch from your Christmas tree. Then, attach them to a foam or wire ring. Let your kids embellish it with ornaments. Viola! You now have a wreath that you can add to your home décor. It’s not only fun, but you also let kids apply the creativity they learn from the daycare. You can also bond together through watching Christmas movies. Surely, your kids will love these movies – Eloise at Christmastime, A Muppet Family Christmas, One Magic Christmas, A Dog Who Saved Christmas, and many more. 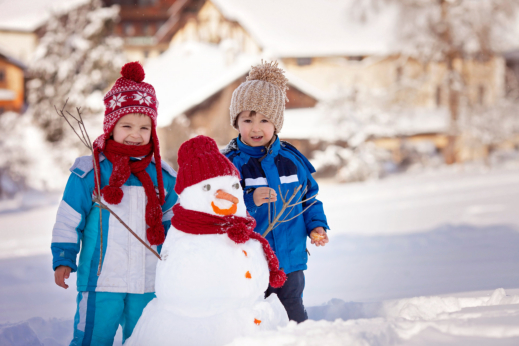 There are kid-friendly outdoor activities that will help your family bond over the holiday. How about attending local festivals? Don’t miss the tree lighting ceremonies or Christmas concerts. Surely, there’s bound to be more activities in your area, check them out! These enjoyable activities can bring so much joy to your kids. Just a word of caution from a Childcare in Louisiana – don’t let children overindulge with foods, especially with sweets, or they may risk their health. This entry was posted in Christmas Activities and tagged children, Christmas carols, Christmas season, holiday. Bookmark the permalink.